Learn to cultivate true joy and contentment in Christ. What is the secret to lasting happiness? Finding the perfect relationship? Gaining applause and popularity? Having material possessions? Achieving a lifelong dream? Despite what we often believe, enduring happiness can’t be in fulfilling our earthly desires. True happiness can only be found when Jesus Christ becomes our chief desire. 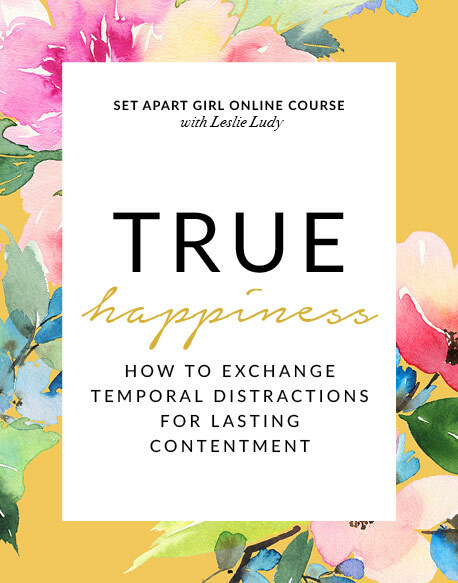 In this inspiring and uplifting course, Leslie shares biblical keys to finding true contentment in Christ and gaining a soul-level happiness that can never be taken away.